Why practice Pilates? 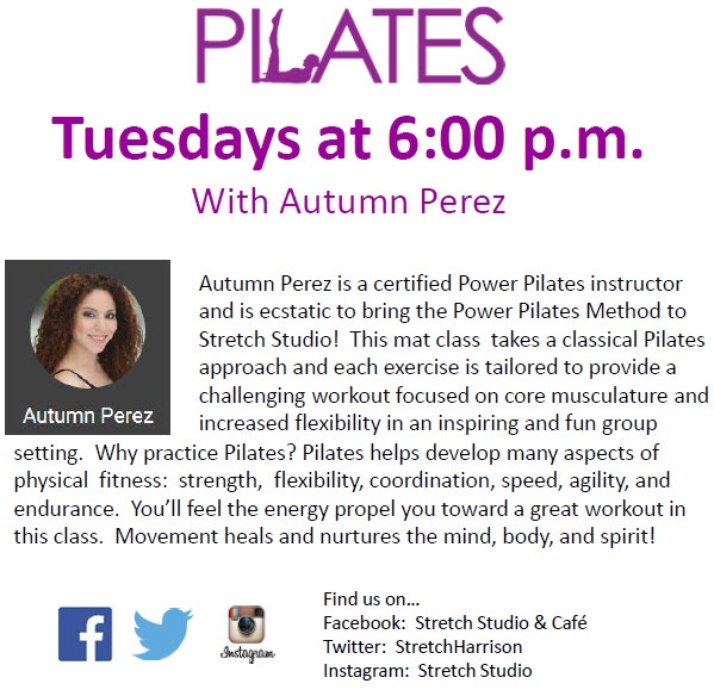 Pilates helps develop many aspects of physical fitness: strength, flexibility, coordination, speed, agility, and endurance. You’ll feel the energy propel you toward a great workout in this class. Movement heals and nurtures the mind, body, and spirit!